A large storm system is swinging across the Plains and the Midwest, bringing in some sweet relief from the heat and humidity. 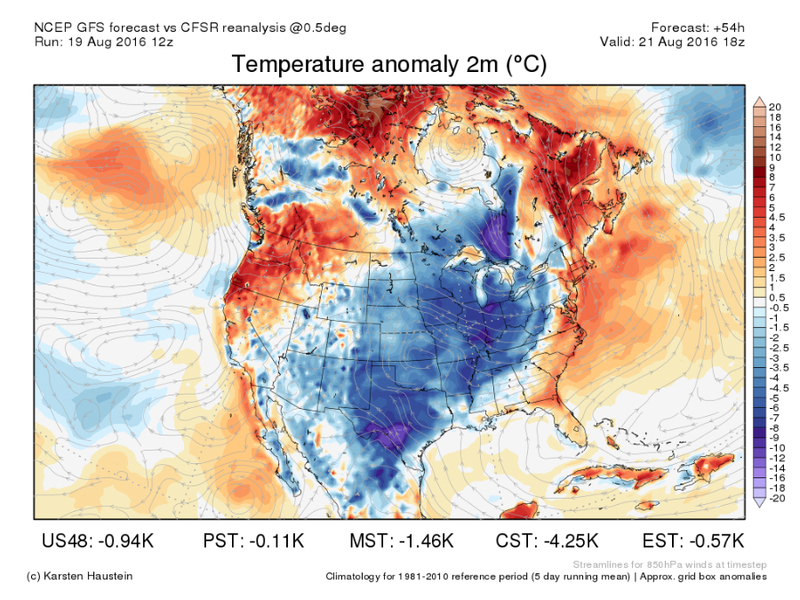 The cooler, less humid air is going to be a welcome change for many in the Plains and Midwest, which have been dealing with hot, miserable conditions for weeks. 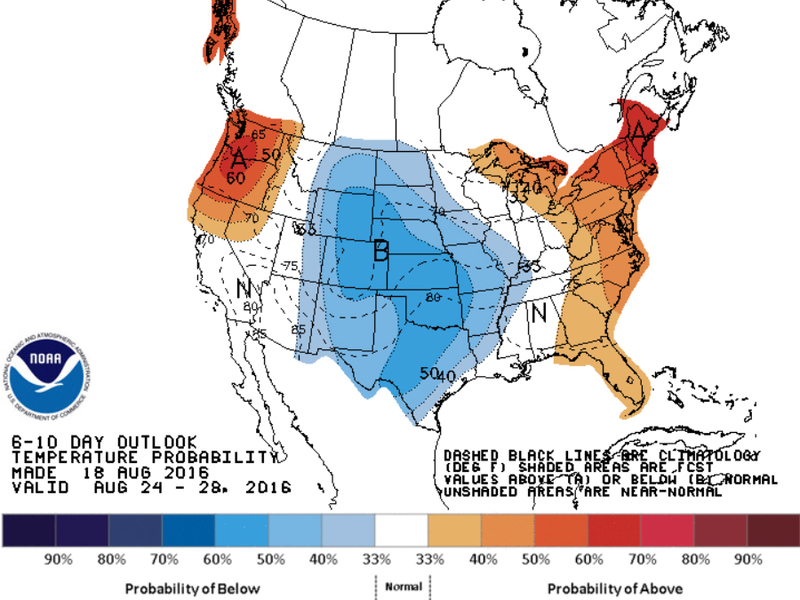 The upcoming weekend will be a taste of fall all the way from Colorado over to West Virginia and Pennsylvania. No matter how sweet the relief will be, it doesn't look like it'll be lasting long. For parts of the Plains, the more comfortable air may stick around until the end of the month, but most of the Midwest will be back to the heat and humidity of summer by next week. And if you're looking forward to some crisp fall days in September, October and November, you may have to wait a little longer this year. 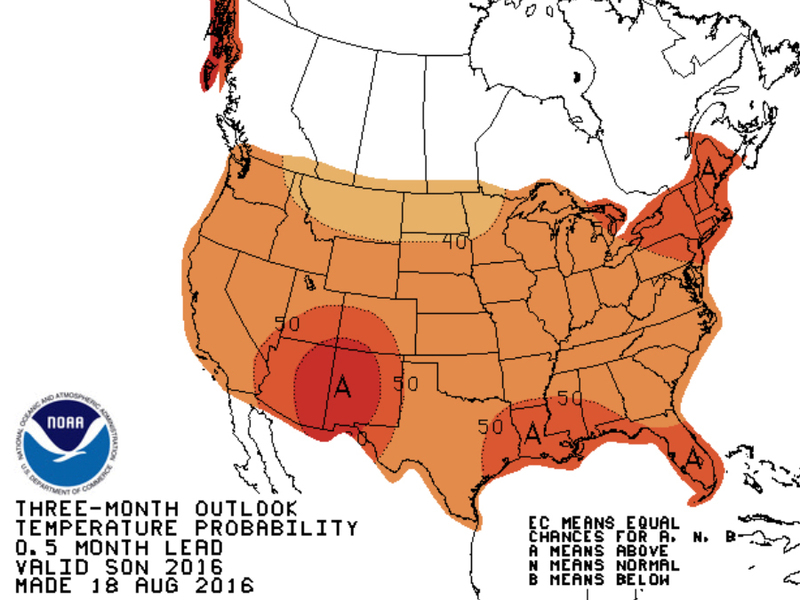 Long range models are predicting warmer than average conditions across the entire U.S. for all three months. It sounds like the Dog Days of Summer still have some bite left in them.